Backstreet’s back alright, with a new backstreet boy, and his name is baby Odin! 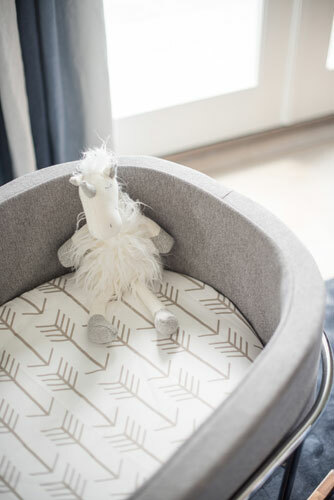 Nick and Lauren Carter welcomed their baby boy, Odin, to the world a little over a month ago now, and New Arrivals, Inc. was excited to help with the baby bedding for their flawless nursery! 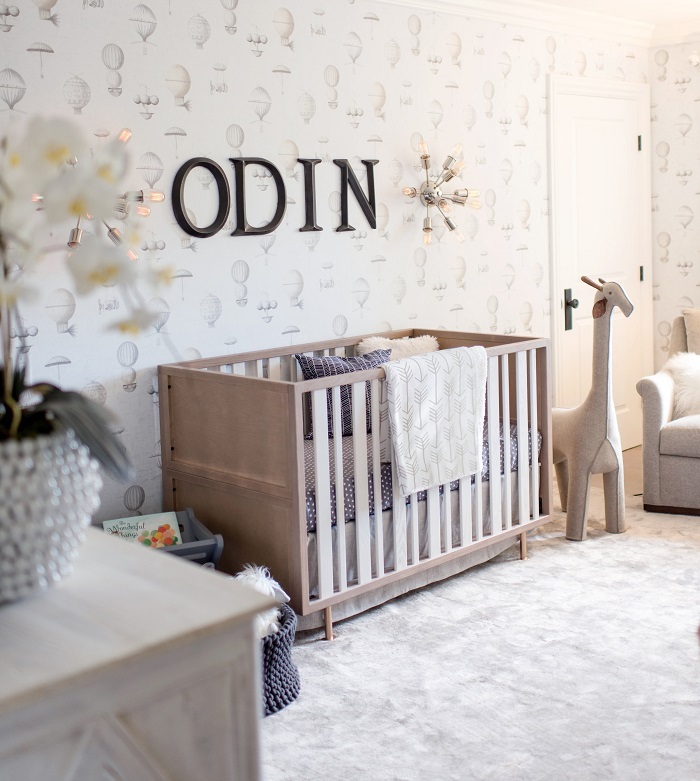 Walking into baby Odin’s sophisticated nursery, we couldn’t help but feel like we were on cloud nine. 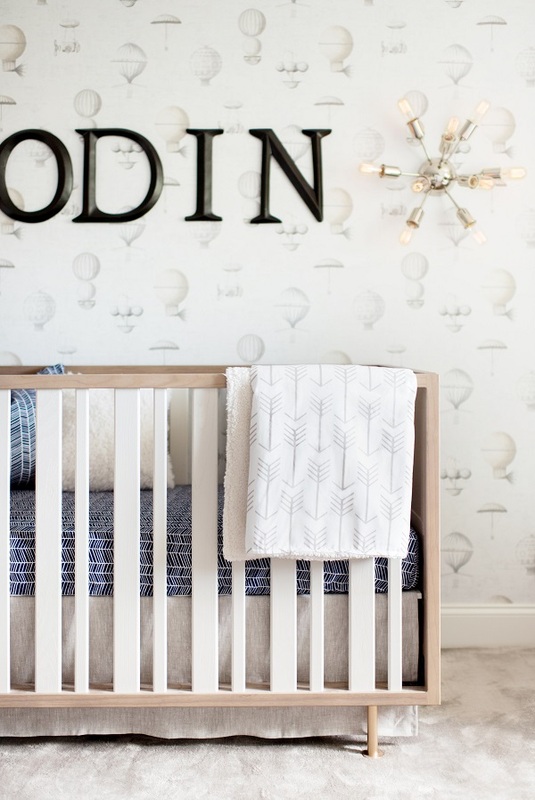 We love everything about this nursery! Interior Designer Stephanie Avila, (of www.rockabyemommy.com) worked with Lauren Carter to create this amazing space. New Arrivals, Inc. owner, Tori Swaim and Lauren together designed the baby bedding collection for this sweet, calming nursery. The design of Odin’s room is classic, yet adventurous with antiqued hot air balloon wallpaper and several pieces of elegant furniture. Also in the room you will see touches of industrial design via the light sconces, with Edison bulbs, and wood and metal wall shelving. The nursery shelving is with filled with keepsakes and sweet baby items including succulents, books and building blocks, which give the room some personalization and personality. The details of this space are unique and fitting. The large letters and unique lighting create a focal point just above the crib. 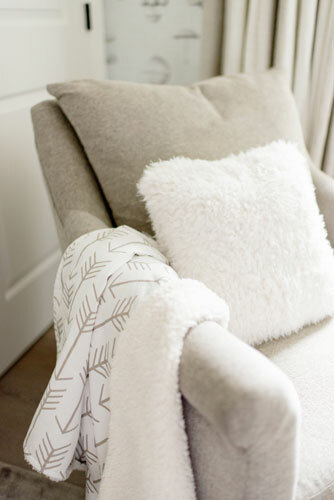 The nursery features lots of warm neutrals and soft textures throughout. New Arrivals, Inc. mixed several different fabric colors and patterns to create a custom look for baby Odin's baby bedding. 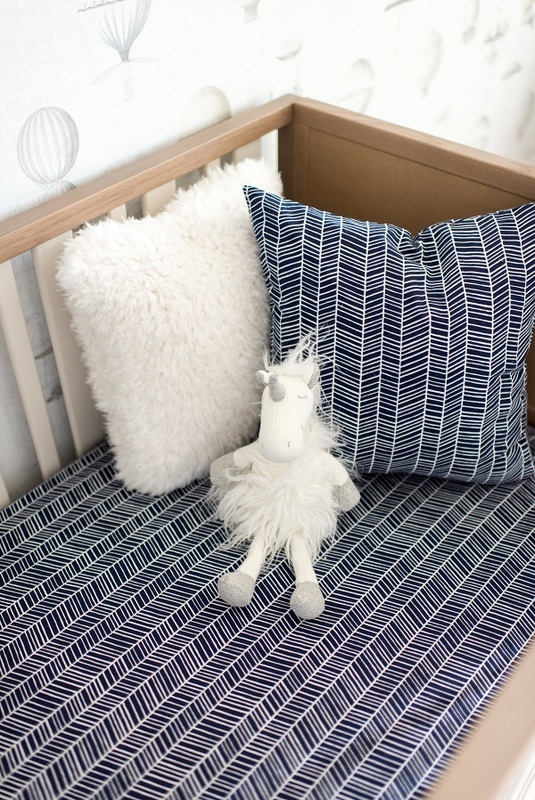 Lauren was extremely involved in the design process, and chose each bedding item shown in baby Odin’s crib. 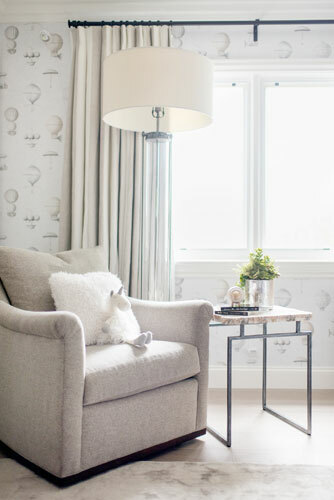 A gorgeous rocker, side table and lamp create a cozy sitting area with a beautiful window view. This amazing white washed dresser is to die for, and doubles as a changing table as well! 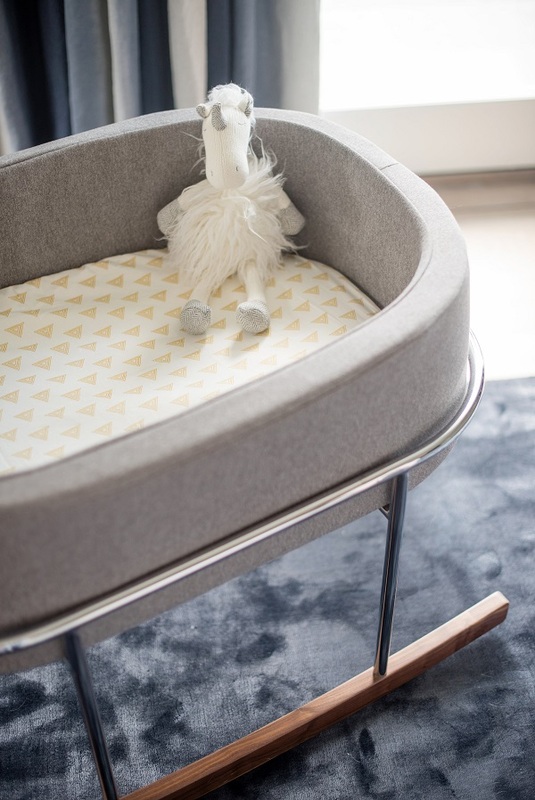 We made several coordinating sheets for this adorable bassinet, which Nick and Lauren keep close by! 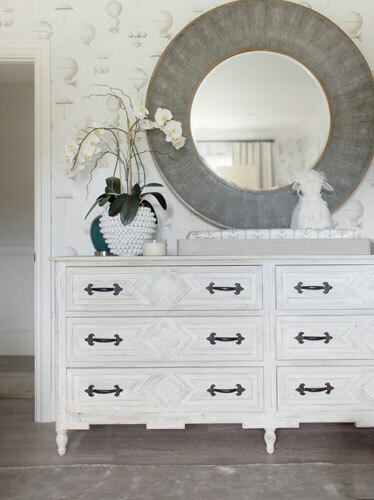 The rest of the Carter’s gorgeous Calabasas home is designed with similar style and colors, so the nursery is a perfect complement to their beautiful abode. 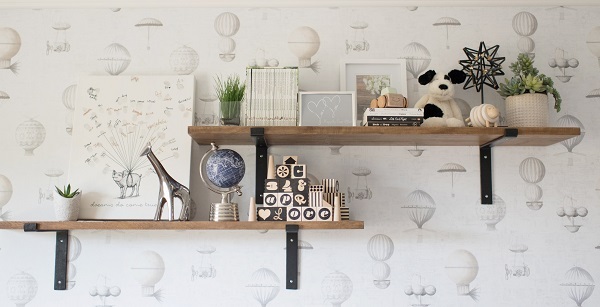 We are completely smitten with the final results of this fabulous nursery! Warm and cozy throughout, we hope Odin loves this space as much as we do! Watch below as the happy couple discuss how they are enjoying their new bundle of joy with Entertainment Tonight! 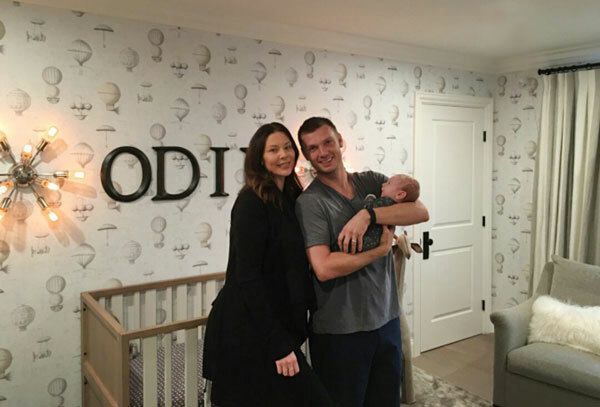 Nick, Lauren & baby Odin in the nursery! Read our blog featured in the wonderful Style Me Pretty! 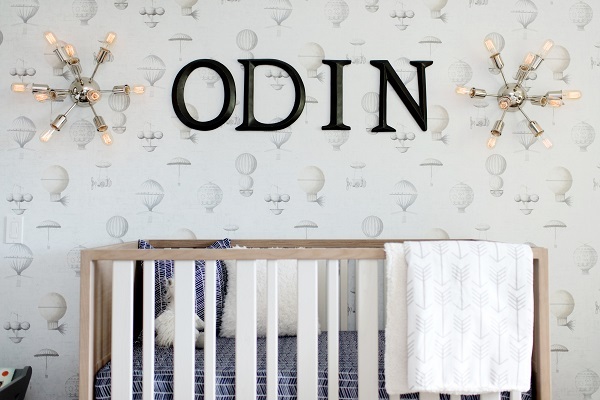 What do you think of baby Odin's nursery? We'd love to hear, so leave your comments below!